I was incredibly surprised when Emma from Not Just Tired nominated me for the Liebster Award. That was 3 months ago, in November last year. I had been blogging here for less than a year at the time, so was certainly not expecting a blog award. Not only do I love the name Not Just Tired (how fitting is that? ), but I really enjoy Emma's posts and was honoured to be nominated by her. I love her relatability, the honesty in her writing and the way she consistently encourages others online. Her Twitter is great too! Please head over to Not Just Tired and show her some love. Thank you for the nomination, Emma! The Liebster is a virtual award. It is given to bloggers by bloggers. I believe it started back in 2011 as a way to acknowledge new or lesser-known blogs, a way to show some love and provide recognition and exposure to fellow bloggers. 1. Does blogging replace or enhance journaling? For me blogging is a replacement for journaling. I have never really stuck to writing in journals despite having a large collection of notebooks and journals. I tend to use them for Bullet journaling or Bible study notes, some are prayer journals and others are for art and lettering practice. I prefer sharing my thoughts online in a blog format where others can read and respond. Blogging is like releasing a thought or idea out into the world, then one day somebody reads it, hopefully they will relate or have something to add to it and it comes back in the form of thoughtful comments and sometimes beautiful emails. 2. Do you think education, as it is today, does justice to life and learning? Not really. I was a teacher before I fell severely ill in 2015 and I had decided that if I ever had children, I would home school them! I found the syllabus to be lacking in opportunities for the children to explore and learn about life and life skills. General knowledge was lacking. The system is too focused on targets and test scores and not on developing healthy, balanced individuals who respect and care for others and their surroundings - or even recognise their surroundings and the common critters that inhabit it! Children are also pushed ahead to the next year group, even if they haven't met targets. This way they consistently fall behind because they lack the basics they were perhaps not ready to grasp at the established time. Redoing a year is a benefit to the child, not something to be avoided or ashamed of. We all learn at different speeds and we do our children a disservice by pushing them through to the following year when they haven't grasped the basics of the year before. Children love learning and are naturally curious, we can take advantage of that and teach them so much through a variety of fun learning activities and real life scenarios, things they would consider play. Instead we force all children to conform to the standardised tests, confined to desks and chairs all day, staring at a whiteboard or computer screen from a young age. 3. When do you find time to blog? I am housebound with severe ME/CFS, so I have much time to dedicate to my blog. The problem is mainly the lack of energy and cognitive function that comes and goes daily which sometimes makes me unable to think or type for days on end. Sometimes months pass before I can complete a post. Fortunately I have recently had some improvement and have been able to publish something almost every week. 4. What is the one post made by you that you like the most and why? My favourite post would have to be the one about my improvement in health after switching to a ketogenic diet. It tells of how I was bedridden for most of the previous 2 years and how I am now able to walk around my house daily and bathe more frequently. It explains many other benefits I have experienced since switching to keto, including a drastic reduction of chronic pain. 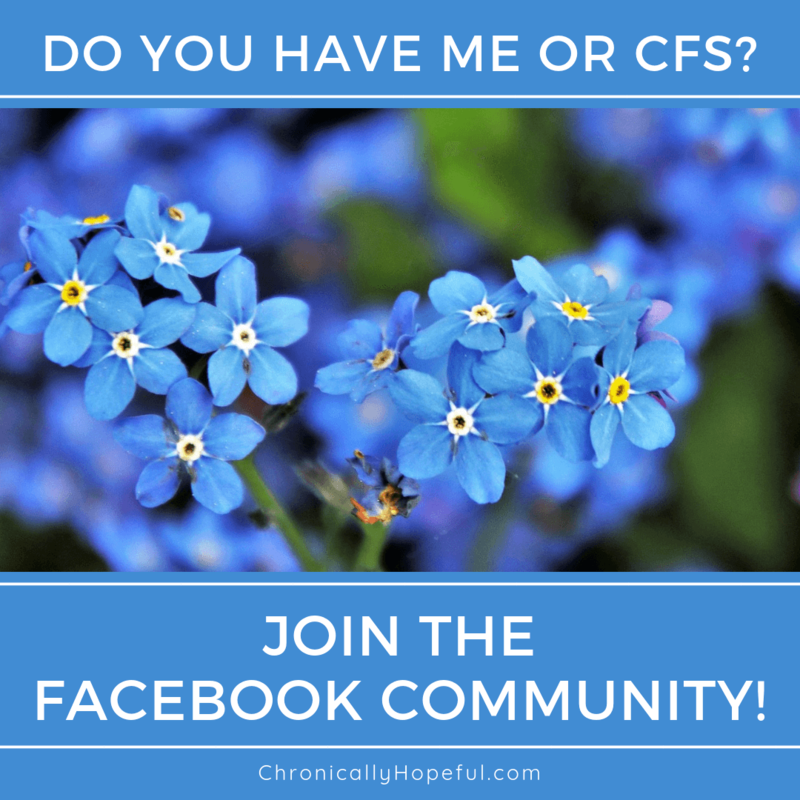 I like this post because it has helped a few people suffering from ME/CFS or chronic pain. I often get messages, on various social media accounts, asking me about diet and whether it may be beneficial in managing symptoms. This post helps people see what a difference it can make, it encourages them to take the necessary steps in cleaning up their diet - it's not an easy thing to do without support and motivation. Click here to read How The Ketogenic Diet is Reducing My ME/CFS Symptoms. 5. What is your favourite book or series? My favourite book is the NKJ Bible, particularly Genesis (how it all began and fell apart) and Exodus (from slavery to deliverance), The Gospels (all about Jesus, all about Love), and Paul's letters (so much wisdom, Grace explained). I also love My Utmost For His Highest by Oswald Chambers, I just want to highlight everything! Another favourite is Diagnosis and Treatment of Chronic Fatigue Syndrome by Dr Myhill, it's jam-packed with great information to equip patients to help (and advocate for) themselves. As for series, if we're talking about TV, then there are too many to choose from and it really depends on my symptoms at any given moment. I've had to be careful when watching action-packed thrillers or suspenseful things and often opt for more calming, easy-to-follow shows, things I might not have chosen if it weren't for my condition and sensory issues. I always preferred action-packed. Now I do enjoy Period dramas and funny shows like Big Bang Theory. I also enjoy Stranger Things, Designated Survivor, Travellers and Suits. Other shows I love which are finished include Lost, House and Night Shift (hopefully more seasons still to come on that one). 6. How long would you survive a zombie apocalypse? Eek! I wouldn't. Take me home please, Jesus! I guess I'll choose T-Rex. A dragon just seems like a fire hazard, plus I'm afraid of heights, so I'm certainly not going to ride on a dragon! 8. If you would be a character in someone’s book, who would you get to write it? Hard to choose - I can't remember the last fictional book I read! I prefer non-fiction. Things I can learn from. I think we're all written into God's love story. I certainly want God to be the author of my life! 9. Would you rather explore the deep ocean or outer space? The ocean mesmerises and calms me! I grew up at the coast and loved sitting on the rocks just watching the waves or, at low tide, I would explore the rock pools. I love watching underwater documentaries and have always enjoyed snorkeling on my summer holidays, but not too deep. Space is too empty and vast... the reason I have never gone deep sea diving is for the same reason - despite loving the ocean, the vastness and emptiness of open space or being surrounded in endless waters actually makes me quite anxious. I'd happily explore both from the comfort of my sofa! 10. Have you ever visited a place just because you saw it in a book/series/animation/movie? What was that place? Probably Verona, Italy. Romeo and Juliet's balcony. We were living in Italy at the time, so it was just a day trip. We saw the balcony, but all the museums in the area were full, with queues right out the doors, so we decided to just roam the street markets instead. Japan is on my list of places I'd like to go visit and that is because of the various anime I used to watch with my sister years ago. 11. How has writing/blogging affected your life? Blogging has given me something to do while stuck at home daily, something that doesn't require much physical exertion, so I am able to do a little everyday, even if I cannot complete an entire post, I can do something. I've always loved writing, whether it was a 12-page letter, a blog post, a poem or a prayer - I like getting my thoughts out in writing or sharing knowledge I have gained through research or experiences. This blog has also given me a purpose - to help others with practical tips and encouragement as well as raise awareness of chronic illness, in particular ME/CFS. Hope, inspiration and community for the chronically ill. Mandy writes about life with Lyme and her faith through it all. I love her honesty and willingness to be real about what life with chronic illness is really about. Keeping hope alive despite chronic illness. Melanie's blog is all about faith and intuitive art. Lots of beautiful photos and art accompanied by scripture. 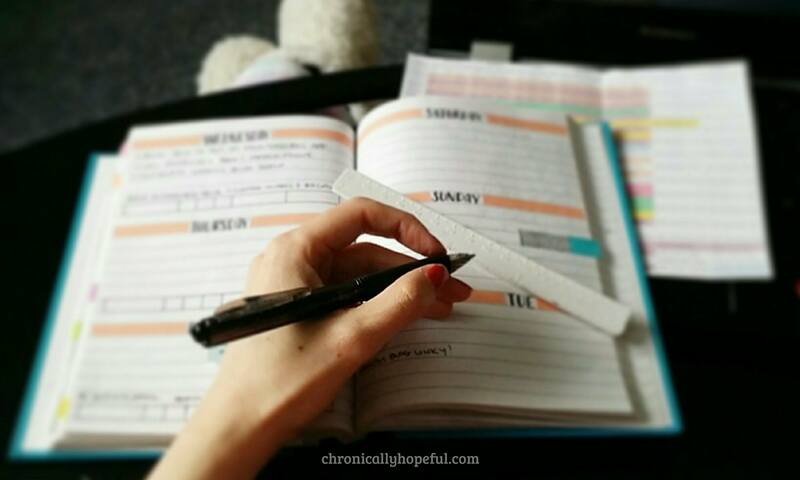 Melanie has also formed a lovely creative community for Christians with chronic illness - a very encouraging and inspirational corner of the web! Amy has a lovely lifestyle and chronic illness blog, but her openness and relatability are just as beautiful as her blog layout! Although she is busy with studies on top of her illness, she has founded a supportive blogging community for spoonies, called Blogging In Bed. Jamie's blog is all about finding our identity in the heart of God. I love her writing style, her posts take you on a journey through the Bible, transporting you right there among the disciples. A journey through life with Fibromyalgia, Hashimoto's, and essential tremor. I love Leida's sense of humour which comes through in the way she writes. Raw and honest, but always brings a smile to my face. Upload the award to your blog post. It can also be displayed on your sidebar. Thank the blogger who nominated you and link back to their blog in your post. Answer the questions below or share 10 facts about yourself. Nominate 5 blogs who you believe deserve the award. Notify the nominated bloggers, so they can accept the award. Does blogging replace or enhance journaling? Do you have a set blogging schedule? Tell us how you fit blogging into your life. What is the one post you've written that you like the most and why? How has writing/blogging affected your life? Of all the places you've been, which is your favourite travel destination and why? Who is your favourite TV or movie character and why? What would your perfect three-course meal look like? Share one of your goals for this year. Why is this important to you? If you could be any animal, which one would you choose and why? Pin "My First Liebster Award"
This has been so fun to compile! I hope you have enjoyed it as much as I have. Please visit my nominees and leave a comment for them. Let's show some blog love to these lovely bloggers. May I reblog your Ketogenic diet post? I’m also going towards Ketogenic, but will redouble my effort after reading your post about how it has helped you. Hi Ellie, I hope you don’t mind, I sent you an email about this since I’m new to reblogging and had some questions. I’m glad you found my post helpful and I hope you will have much improvement too. I’d love to know how you get on. Basically I have no problems with reblogging if it involves an excerpt and link back, I do not approve of simply duplicating the whole post (I have discovered somebody did exactly that on one of my other posts!). Thank you, Caz! That means a lot. I’m really enjoying reading everybody’s responses too. And it is nice to venture off topic sometimes. Yes, it can get frustrating when we have to drop everything to rest, but I’m getting there. It’s not so easy to rest when your head is so full of ideas and things you want to share. I have so many drafts I’ve started and need to finish off before I can publish – it’s a slow process. But I am glad I am getting much more done these days than I did when I first created this blog. Props to Emma for nominating you, it is definitely well deserved. I’ve been slacking on keeping up with blogs lately because things have been so crazy but your blogs are always such a breath of fresh air when I read them. Many, many thanks for the nomination. I am truly honored that you thought of me (and thrilled to learn my writing is as humorous as I picture it in my head ;p). I look forward to developing my own post for this nomination. I am excited to read your post! You don’t need to put pressure on yourself to “keep up with blogging” – it will become a chore and no longer a joy. Write when you can and feel inspired to do so. That’s when the best writing happens.